Realization Center is proud to be a provider of “front-line” treatment and evidence-based practices for opioid and other addictions. We are proud to be able to offer medication-assisted treatment (MAT) to our clients. MAT is an evidence-based practice which includes the use of medications, such as Suboxone and Vivitrol, in combination with counseling and behavioral therapies for the treatment of substance use disorders. Realization Center has been a pioneer in offering a combination of medication and behavioral therapies to treat their clients with substance use disorders and help them sustain recovery. Medication-assisted treatment (MAT), including opioid treatment programs (OTPs), combines behavioral therapy and medications to treat substance use disorders is the use of FDA- approved medications, in combination with counseling and behavioral therapies, to provide a “whole-patient” approach to the treatment of substance use disorders. MAT has been developed for Opioid Use Disorders, Alcohol Use Disorders and Smoking Addiction. Suboxone is the brand name for a prescription medication used in treating those addicted to opioids, illegal or prescription. It contains the ingredients buprenorphine and naloxone. Buprenorphine, a partial opioid agonist, blocks the opiate receptors and reduces a person’s urges. The second ingredient, naloxone, helps reverse the effects of opioids. Together, these drugs work to prevent withdrawal symptoms associated with an opioid addiction. 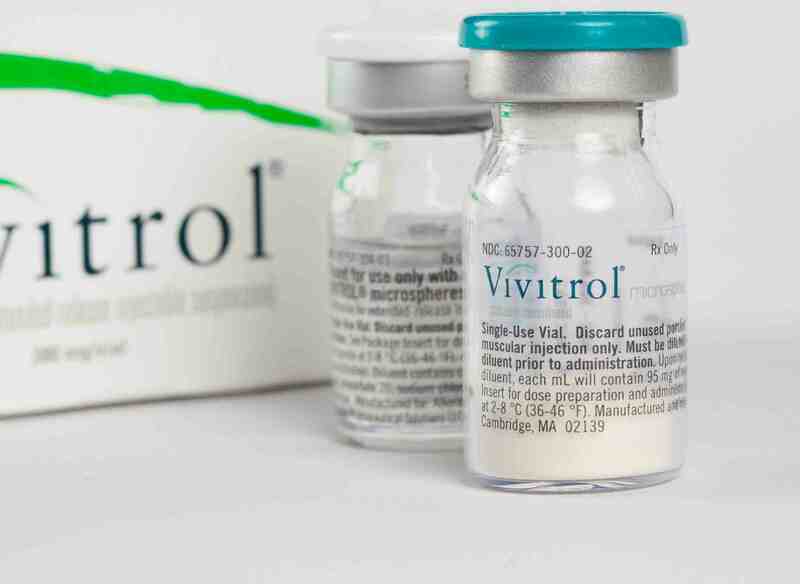 Vivitrol is the brand name for Naltrexone, a type of medication-assisted treatment which is an injection administered by a physician or another medical provider once a month. Naltrexone blocks opioids from acting on the brain, so it eliminates the possibility of euphoria and takes away the reward of getting high. This feature makes naltrexone a good choice for preventing relapse in people who have been detoxified from opioids.